Hall of the Mountain King: Review: White Wizzard, "The Devil's Cut"
A few lineup changes later, they tried to address that criticism on the follow-up Flying Tigers, which featured a more progressive bent and more mature songwriting approach. Unfortunately, it seemed fairly devoid of the big hooks and memorable melodies that made the first record so endearing. There were pieces of it I liked at the time, but I can’t really say that I’ve returned to it in the nearly two years since its release. After yet more lineup changes (only founder and bassist Jon Leon and drummer Giovanni Durst remain from the Over the Top lineup) comes the band’s third full-length effort, The Devil’s Cut. On this record, White Wizzard tries to recapture some of the fun of that first record, and to me, it’s far better than Flying Tigers, but at least on first listen, still didn’t quite reach that level. So I gave the record a good bit of growing time before writing this review, and I found that, with repeated listens, my opinion changed quite a bit. The most recognizable change will be the voice of Joseph Michael, who replaces on-again, off-again singer Wyatt Anderson of the first two full-lengths. Anderson’s vocals were part of the magic of Over the Top. Michael does an admirable job filling those shoes. His voice is similar enough to give the band a familiar sound, but different enough to let you know there’s been a change. While he doesn’t always have the tone of Anderson, he does perhaps bring a little more range. After a galloping instrumental intro, the band blasts into “Strike the Iron,” a driving early 1980s speed metal number with a lot of the New Wave of British Heavy Metal influence that the band has displayed in the past. Toward the end, there’s even a nod to some of the more progressive stuff they did on Flying Tigers with a kind of exotic melody and then some wailing vocal lines over a more standard metal riff. It’s one of the things that really grew on me as I listened and made the track one of my favorites here. I was hoping for songs that had the same kind of immediate impact and likability as those three I mentioned from Over the Top at the top of the review, but what I found instead were songs that needed a little time to settle. In the end, though, I find that I like some of them just as much. Oh, there are some old familiar sounds from the band. On “Kings of the Highway,” they return to the highway anthems that have served them well in the past on “High Speed GTO” and “40 Deuces,” and they end up with another winner. Though I didn’t want to like it at first because it seemed to be a bit of a retread, after a few listens I found myself wanting to hit the open road and wail along with the chorus, “The kings of the highway fly, fists up to the sky …” And that’s really what a good driving song is all about. Things slow down a little for the mid-paced “Steal Your Mind,” which is perhaps the first time we hear something a little different from the band. It reminds me of one of those big 1980s Scorpions semi-ballads. It’s perhaps the best performance of the record for Michael, who puts a little more passion and emotion in his voice than on the faster numbers. The chorus of the song leaves a bit to be desired in the catchy department, but the rest of the tune makes up for it. 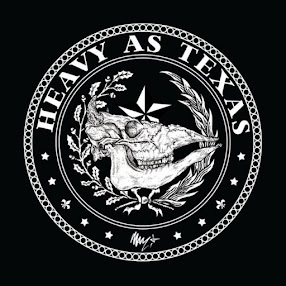 Of course, they can’t hold it in forever, and toward the end of the song, the speedy classic metal sound has to bust loose, and does in solid fashion with guitarists Jake Dreyer and Will Wallner trading some scorching leads. The tune ends with a nice, heavy little Sabbath-meets-Maiden touch. They get back to slamming the listener in the face with the bashing title track, which also features one of the more memorable chorus hooks of the record. They work out their NWOBHM fetish more on “Torpedo of Truth,” one of the songs that brings back a little of that campy, good-time feel that I really enjoyed on Over the Top. Perhaps my favorite song on the entire record, though, comes toward the end in “Storm Chaser.” There’s no doubt throughout the record that the leader of this band is Leon. He’s a disciple of Iron Maiden’s Steve Harris, and his bass drives just about every song here, but particularly this one. It opens with a big, thumping groove from him before the guitars kick in with plenty of swinging attitude. Once Michael’s vocals start, it turns into exactly what I was looking for from this album. 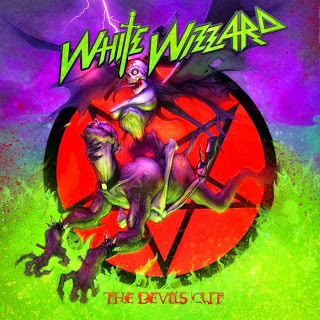 An organ line adds a flare of drama, and the chorus delivers exactly what I want from White Wizzard. It stands up to any of those songs from that other record and also manages to throw out a few tips of the hat to the classics. This is what the spirit of heavy metal is all about. The album closes with “The Sun Also Rises,” the requisite nine-and-a-half minute epic, but this one works surprisingly well. Michael once again shines and finally wins me completely over with this number. Dreyer and Wallner shred all over the place, while Leon and Durst pull it all together in a solid groove. Naturally, about halfway through the tempo gets kicked up to about double speed, but the song becomes far more interesting again when they break it back down to a slower, huge classic hard rock groove around the six and a half minute mark. There’s a lot more attitude in that section, and it really captures the character of the band. It happens occasionally that I’m glad I gave an album more time and didn’t write the review that I initially wanted to write on early listens. This is most definitely one of those cases. The things that I missed on my first couple of listens – the things that made Over the Top so enjoyable – are most certainly there, and while the songs didn’t grab me on first listen, many of them now seem to have set up permanent residence in my head. I’m still not sold on Flying Tigers, but The Devil’s Cut, I think, is a worthy successor to Over the Top.